Typically, 6 of these switches are needed, two per axis. This particular limit switch is rated for 125/250 volts AC (VAC) and can handle 15 amps of current. 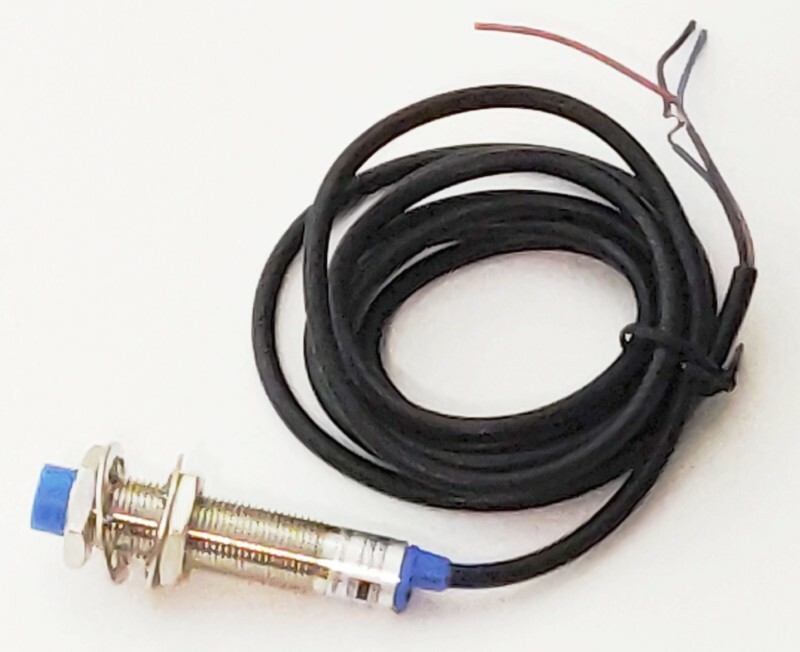 For limit switch use for CNC machines, it will be connected to signal voltage levels like 5v, but you have the option of using this switch to turn on/off a device that has mains voltage levels (i.e. using it as an interlock to turn off something when a door is opened). Body Dimensions: 1" X 3/4" X 3/8"
Here is a datasheet that we drafted for the limit switch. This datasheet can be used to determine mounting specifications, understand the throw of the roller and to understand the general functionality of the switch and where the NO/NC/COM leads are located. This is a diagram for connecting limit switches to the input pins of the breakout board. Using a single snap action limit switch. The switch can be wired as NO, or NC with this configuration. NC would cause the circuit to open if the switch is activated since it is "normally" closed (closed when the switch is not activated). NO would cause the switch to close when activated since the circuit is "normally" open when the switch is not activated. Multiple switches require unique configurations with respect to their NO or NC operation. If an NC connection is desired for the circuit, the connection to each switch my be serial. If a switch is activated, the circuit is broken (open). If an NO connection is desired, the circuit must be wired in parallel. If a switch is activated, then the circuit is completed (closed).